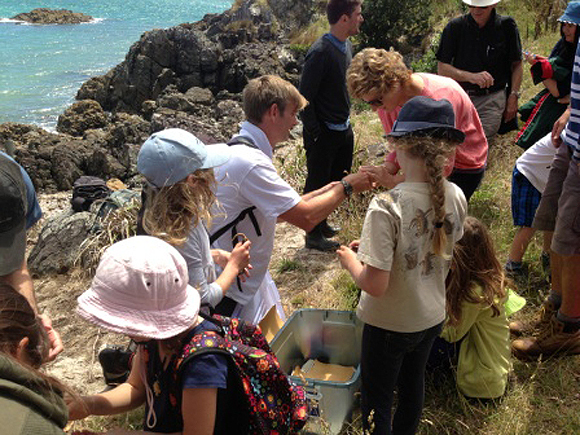 Today, we’re putting the spotlight on recent innovative activity on Motuihe Island — a conservation jewel in Auckland’s Hauraki Gulf Marine Park. Ranger John Mills plays a vital role in everything from glamping to gecko translocations and sponsored road repairs. 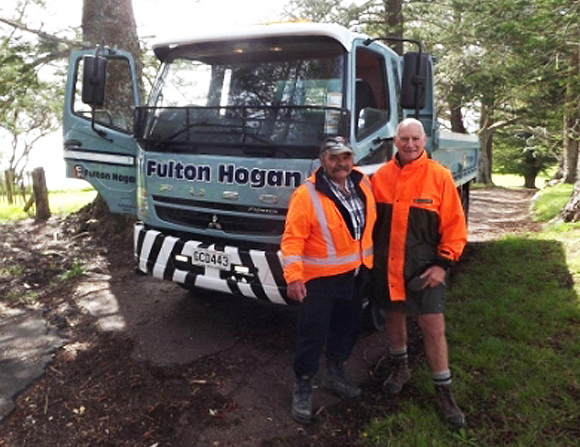 A $2,000 donation of roading materials and labour from Fulton Hogan provided an unexpected boost to conservation efforts on Motuihe. A donated truck load of black top roading mix has enabled DOC to make the necessary repairs to the deteriorating road surface, with spin-off conservation benefits. DOC Ranger on the island, John Mills, says the donated materials and labour allow DOC and its partner—the Motuihe Island Restoration Trust—to divert more budget and effort to projects with direct conservation benefits. The island is pest free, with continued effort by DOC and the Trust to protect endangered native species like the New Zealand dotterel, saddleback, kākāriki, kiwi, shore skinks, bellbirds and tuatara. John Mills says there is also increasing interest from the corporate sector to visit the island for retreats, conservation education and team building. 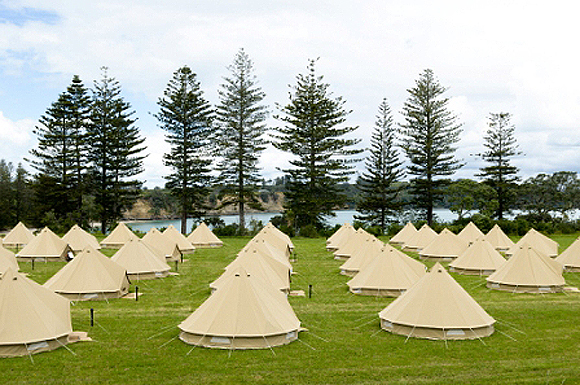 In early November the island hosted 60 high-achievers from Fuji Xerox Australia for an overnight ‘glamping’ experience. 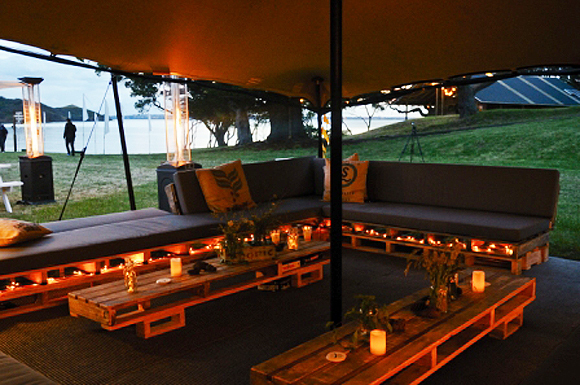 The overnighter was organised by wildernest.co.nz who booked out camp sites on the island and ensured guests’ meals were fully catered by chefs. The Fuji Xerox staff helped DOC and the Trust by carrying out a variety of conservation-orientated volunteer work, and the island was returned to its original condition immediately prior to the guests’ departure, with all rubbish and temporary facilities removed by barge. Trifecta of gecko translocations—two down, one to go! Three species of gecko are being translocated to Motuihe over the summer months to help restore ecological links and values to the island. 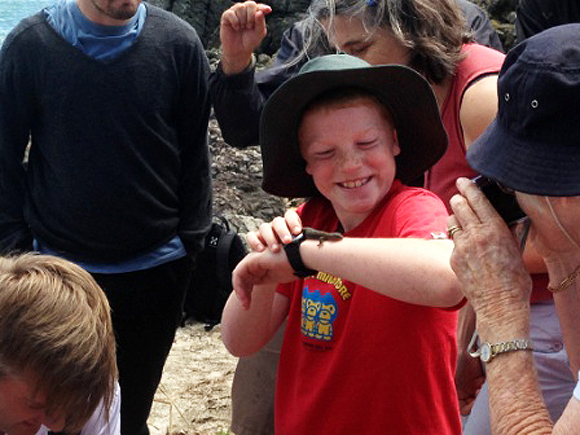 The gecko programme is part of the island’s restoration plan jointly developed by DOC and the Trust, and follows several translocations of rare birds and tuatara. Geckos were present on the island prior to farming and the arrival of pest animals. Late last year, 60 common geckos arrived from Otata Island (Noises) to Motuihe on a day which attracted more than 100 volunteers and conservationists, including iwi, the Trust, DOC and community groups. In January 100 Duvaucel’s geckos arrived from Stanley Island (in the Mercury Islands), and in early March 100 Pacific geckos will be translocated from Tarakihi (Shag Island). With clear waters, sheltered anchorages, visitor facilities and community conservation efforts, the island is particularly popular with summer visitors. You can plan your own visit to Motuihe on the DOC website.